Asparagus are one of those very expensive crops that many of us would like to grow. They have a reputation of being really difficult, but it just requires some patience since you can’t harvest until they’re three years old. After that, they can be a very rewarding crop if you plant enough crowns. Watch this video to get the skinny on this delicious vegetable. 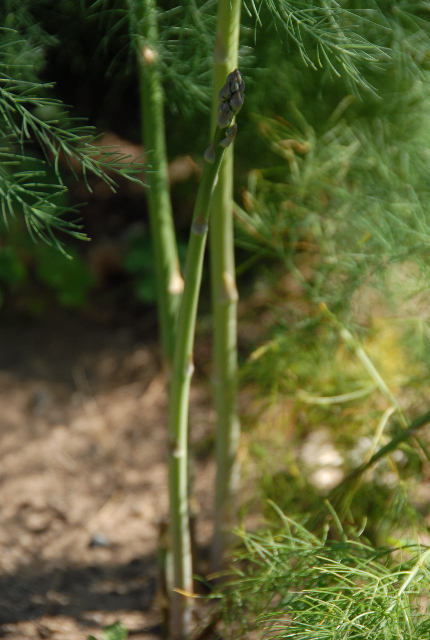 Asparagus is a tasty vegetable that is also a medicinal herb. It contains significant amounts of vitamins C and A, and has efficacy as a diuretic, blood cleanser, and reproductive hormone stimulant. In some cultures, asparagus is viewed as an aphrodisiac.